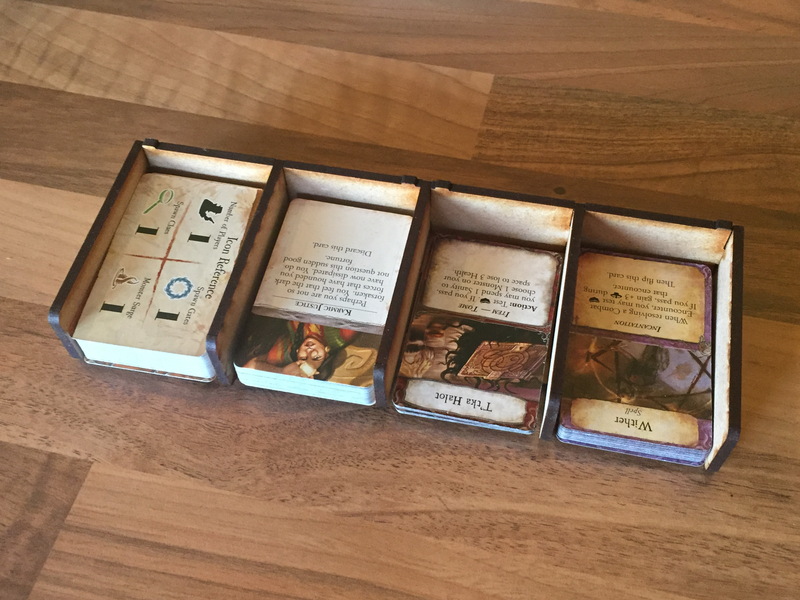 This is a 2/3 length tray and holds four mini cards - this one shows Eldritch Horror asset and spell cards. 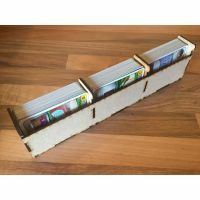 We also have a full length 6 mini card tray as well. Because the packs are raised from the table it is easy to draw from the top and return to the bottom. 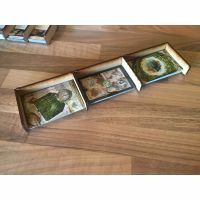 Personally I hate picking up packs to discard to the bottom of the pile and generally prefer discard piles, but with so many decks in Eldritch these card trays really work to make things easy and keep the space down. Trays are made for larger exploration cards and the mini asset and spell cards. Yep, buy 10 modules (usually one games worth) and I'll give you five pounds back when I process your order. 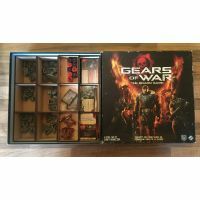 The set is designed to fit perfectly into the standard box. Each unit has little "nubbins" that fit into the bottom of the unit above so they can't slip about. Just pop and the rules and board on top and everything is snug and secure. You can mix and match these units with any of our other generic organiser units. These will fit most standard game box sizes. So even if you sell the game you can still use the organiser units in another game. Click on the diagram for a full size printable copy of box and tray sizes, plan out a good fit. Remove any existing trays in the box and measure the INSIDE dimensions of your box, including height, allowing for boards and rule book to go on top. All my units are made to fit a 282mm inside dimension. The trays are usually 25mm tall and have a little nubbin so they stack together. Some of the boxes can be larger, either 50mm or 75mm. If you want a vertical card tray, make sure it fits the height of the box. If the trays, board and rules fill the box to the brim, you won't need lids. 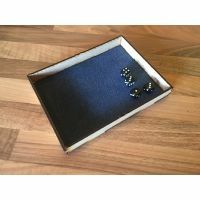 If there is space then consider either (a) lids on the boxes or (b) adding a dice tray or other box to fill the space.